I will be doing a new Santa for 2019. 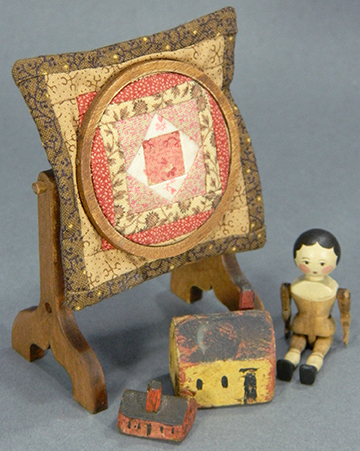 This will be a very traditional Father Christmas in deep reds with lots of toys. A basic guy in my style. $975 Add to Cart (only a deposit will be charged if ordered). Go to my Christmas page to see other of my Santas. Picture coming by early fall 2019. 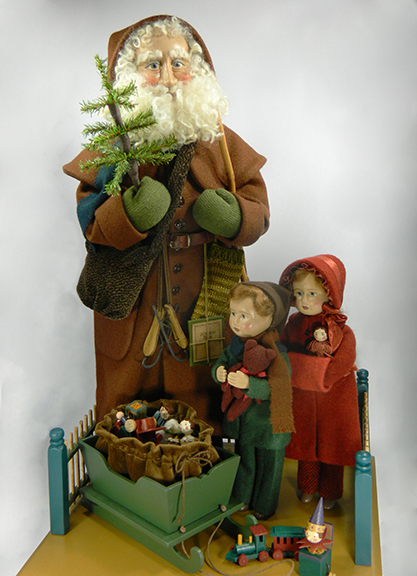 18" Chalkware Santa with 7" tall children. Includes all shown accessories (16 toys and accessories, plus sled and surround fence stand). CHEAP PATTERNS As time allows, I am editing some older patterns or parts of kits into patterns and selling at almost free (not quite). Find the growing list under the top menu OTHER ITEMS. If you are looking to acquire the patterns and instructions to any of my old kits, email me as we can usually do a reprint at a cost per page.